Dr. Ismail Fidan from Tennessee Tech University is in the news often. 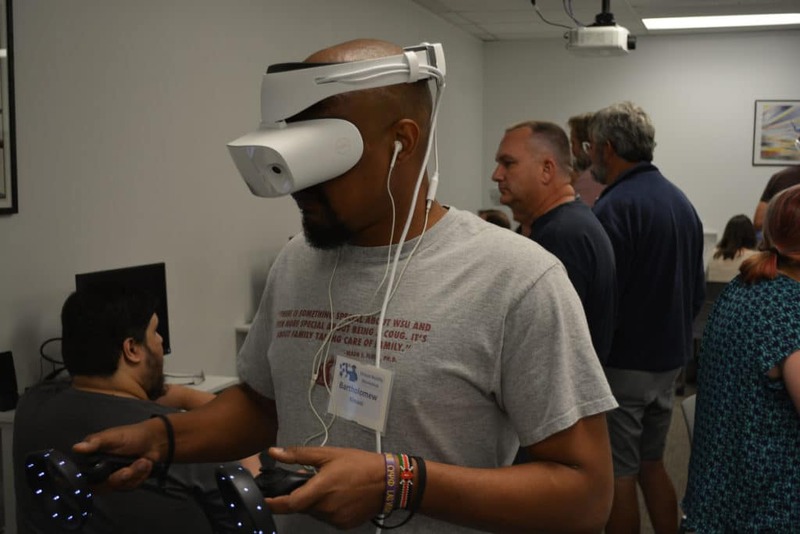 The engineering department professor is actively serving the AM community; from his students at TTU to the larger group of professionals and analysts who read the annual Wohlers Report. Dr. Fidan contributes a thorough chapter each year on the activities and capabilities within academia. 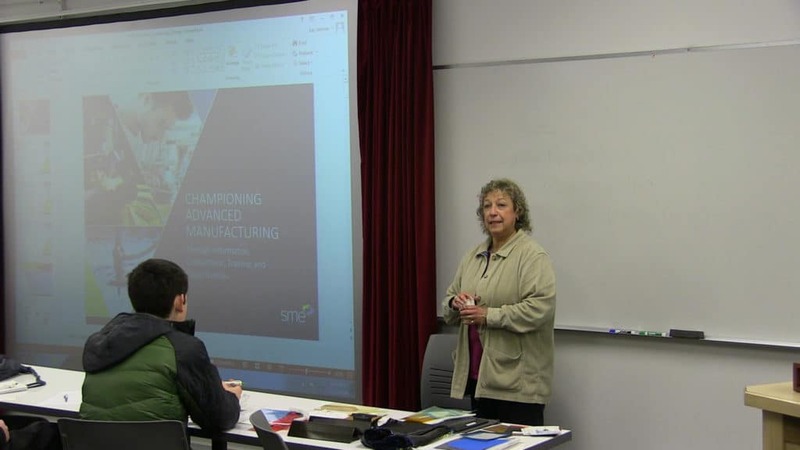 He notes there is a strong and growing demand for workers trained in additive manufacturing. There are many colleges and universities adding certificates and degrees centered on AM processes. Many of these institutions are conducting research and forming industry-level partnerships within AM. As a TEAMM Network member, Dr. Fidan is committed to technician education. In approximately 15 pages, in the Academic activities and capabilities chapter, he chronicles the many academic projects and initiatives taking place around the world. 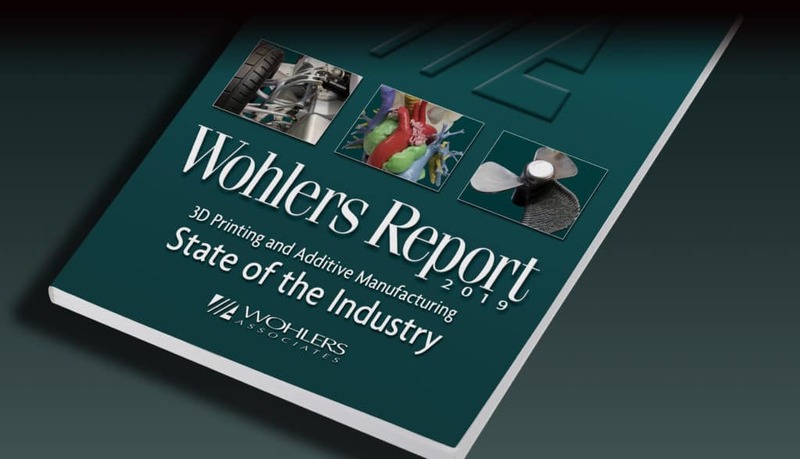 It is a veritable Who’s Who in additive manufacturing. Dr. Fidan has served as a member of the Wohlers Report team for the last three years. In his role, he collects and reports on the worldwide academic AM practices, trends, and innovations. Currently, he is one of the associate authors of the report. TEAMM continues to look to Dr. Ismail Fidan for his thought leadership within AM and education. 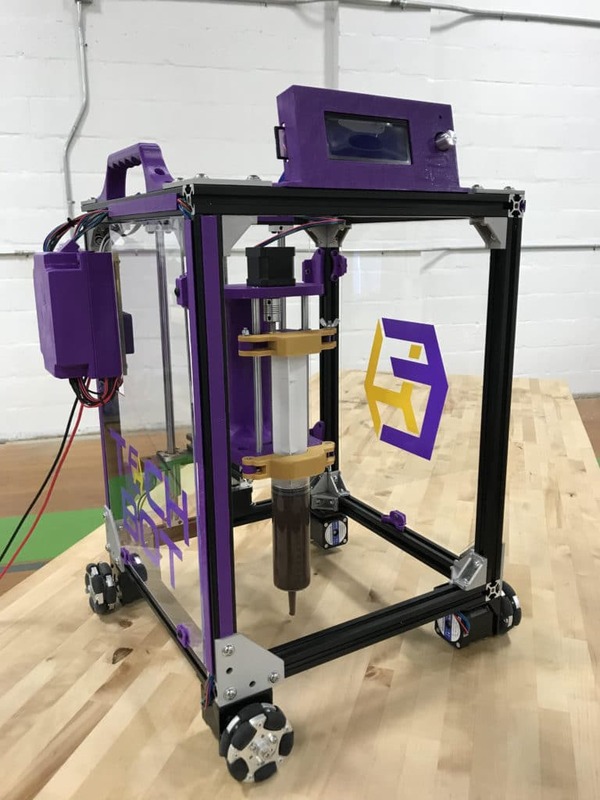 Tennessee Tech University (TTU) announced today that it is launching TechBot, a mobile, multitasking 3D Printer designed, developed and fabricated by TTU faculty and students. TTU has applied for a provisional U.S. Patent on the 3D printer. 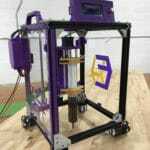 Although there are many 3D printers on the market today, the TechBot differs in its mobility. Most printers today demand a rigid frame structure. 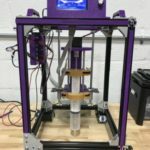 This new printer is not limited to a traditional work envelope as are other conventional 3D printers – the user can define and set up their own work surface to print almost any type of material from the paste-based extruder. This is another key difference with the TechBot – it does not use traditional 3D printer materials, such as, filament, powder, pellets, or resin that are commonly used in several other additive manufacturing processes. It has a paste-based method, using a syringe, to dispense any paste type material on any X and Y direction. It can do 200mm in height on the Z axis. Using the TechBot mobile multitasking platform to develop a mobile tape applicator for multi-purpose gyms. This will result in a quick and precise method to convert a multi-purpose gym floor from a basketball court to a volleyball court. 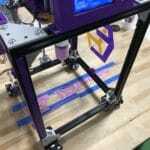 The TechBot platform can also be used to incorporate a fast drying paint extruder to paint team logos onto arena floors. During Sports tournaments, the TechBot could paint both team logos onto an arena floor within minutes. 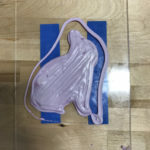 This paint can be removed with the appropriate dissolver. Another application for the TechBot platform is in the construction industry to extrude grout between tile gaps. Other applications are being explored, across a wide range of areas, such as, 3D food printing (think cakes, pies, desserts) to circuit boards. The team has also looked into the printing of concrete structures with the TechBot. 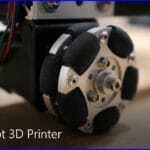 The TechBot is designed to incorporate 4 omnidirectional wheels at the corners which greatly improves the print accuracy. The extrusion head is incorporated within the frame of the TechBot, this makes it possible for one z-axis to be capable of printing multiple materials using different extrusion methods. The TechBot is also offered as a do-it-yourself (DIY) kit (assembly required). 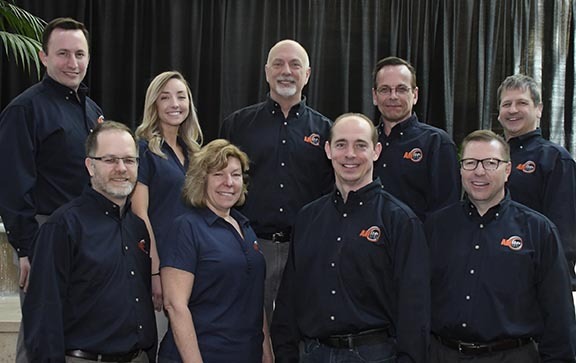 The TechBot team also received technical support from Ed Tackett (University of Louisville), Amy Elliott (Oak Ridge National Laboratory), Tom Singer (Sinclair Community College), and Mel Cossette (Edmonds Community College). 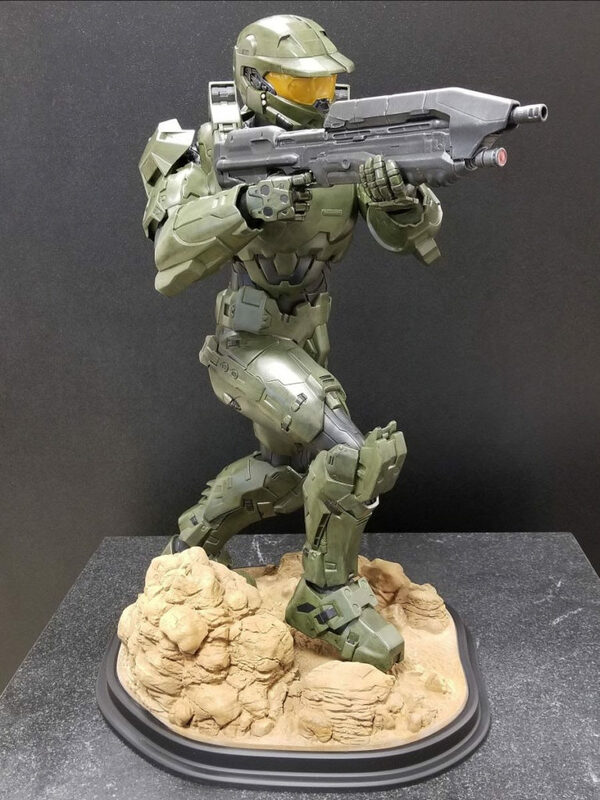 Click on the images to get a full-size photo of each image. If gallery does not display an arrow to move forward, hit the back button on your browser.